As a new Loan Officer there are two main programs you are going to have to deal with and that is FHA (Federal Housing Authority) Loans which are overseen and regulated by the United States Department of Ubran Development or HUD and Conventional Loans which are overseen and regulated by Fannie Mae and Freddie Mac. In this article, it is going to be all about the Conventional Loans and the 2016 Conventional Loan Basics. Fannie Mae and Freddie Mac are the two Government Sponsored Enterprises or GSE’s that set mortgage lending guidelines for Conventional Loans. GSE’s are by definition a financial services corporation created by the US Government with the objective being to enhance the flow of credit to targeted sectors of the economy while also reducing the cost of credit by reducing the risk. Mortgage Lenders need to ensure they are following the Fannie Mae and Freddie Mac guidelines if they intend on funding Conventional Loans to borrowers and especially if they plan on selling these loans to Fannie Mae and Freddie Mac. You see, after a loan is funded by a lender it takes away from their cash, but they will almost immediately turn around and resell the loan to Fannie and Freddie in order to replenish their cash, so if the loan doesn’t meet Conventional Loan guidelines, there is no way it will be resold either. 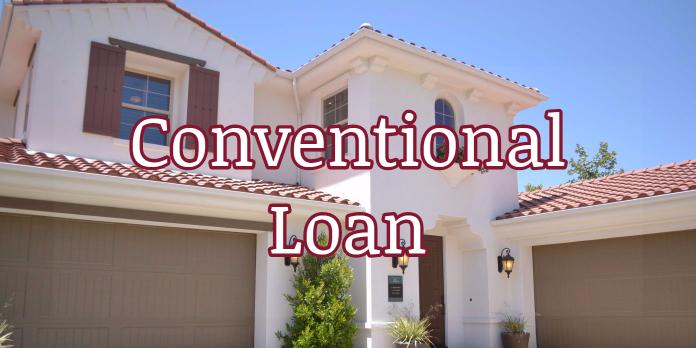 Conventional Loans are also known as Conforming Loans for these reasons that they must conform with Fannie Mae and Freddie Mac lending guidelines. There is great news coming out for potential home buyers starting in 2017 and that is the fact that the 2017 Conforming Loan Limits Increase are set for their first increase since 2006. The old ceiling of $417,000 will be replaced by a 1.7% increase to $424,100. This will be the first time in 10 years that potential buyers have a little more buying power while trying to stay to Conforming Loan Limits. If you don’t remember or are curious, Conforming Loans are Conventional Loans that need to conform to the Fannie Mae and Freddie Mac. It was just announced by the Federal Housing Finance Agency or FHFA that the increase would go into effect and the reasoning is as follows: For the first time since pre-recession levels, the average U.S. home price has reached a new high and this level hasn’t been seen since Q3 of 2007. If you think about it, the Great Recession took 10+ years to regain the loss in prices that were seen. This is the first time that home values are finally at pre-decline levels. After FHFA completed its third quarter 2016 House Price Index, it was also determined that in all but 87 counties in the United States would warrant an increase in the loan ceiling. The high-price home areas have also seen price increases as well with the high cost areas increasing from $625,500 to $636,150. With the rapidly increasing home prices, this will help first-time home buyers afford a little more than they could initially. As illustrated by the 2 spreadsheets below, you can see the full roll-out of the 2017 Conforming Loan Limits Increase. Now, keep in mind this is only for first mortgages on homes and has nothing to do with second mortgages or equity lines. In terms of 2016 Conventional Loan Basics any borrower who doesn’t put down at least 20% down payment on a Conventional Loan home purchase is required to have private mortgage insurance. Private Mortgage Insurance known as PMI for short is in place so that in the event a borrower defaults on their conventional loan the private mortgage insurance company will cover part of the loss of the foreclosure to the lender. PMI is similar to the government guaranteeing loans in the event of FHA, VA, and USDA loans. Private Mortgage Insurance can be cancelled once the borrower reaches 80% loan to value either by paying down the mortgage balance or by the home increasing in value and confirmed by a current appraisal. It is fairly straight forward in order to get a second home or vacation home with a Conventional Loan. In order to qualify for a Conventional Loan in this circumstance, you are going to need a 10% down payment and a minimum FICO score of 620. In addition to this you are going to have to meet the debt to income ratios and waiting periods in order to qualify. If you are interested in obtaining a Conventional Loan for your investment property, the requirements get a little more demanding because you are going to need a 15% down payment. However, if the property rental income is to be used to qualify for the loan, then 75% of the monthly rental income can be used to qualify for the loan. If you are using rental income to qualify for a loan, you will need 25% down payment to bridge that gap and get approved. As you can see if you don’t know the 2016 Conventional Loan Basics you will have problems getting qualified for a Conventional Loan. As long as you abide by the Fannie Mae and Freddie Mac Guidelines, there is nothing to worry about. If you aren’t 100% sure if the Conventional Loan Program is right for you, please feel free to call me at 888-900-1020 or visit www.loanconsultants.org for more information or an application today!